Personalised Leather iPad 2 3 4 Swivel Case. 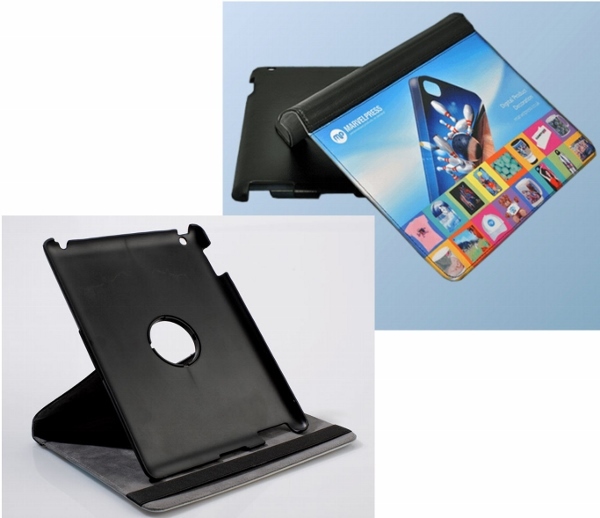 iPad swivel case to fit the iPad 2/3/4 and featuring a swivel stand mechanism allowing portrait and landscape use. Leather covered, impact resistant, armoured hard back with gentle microfibre lined cover to protect the screen of the iPad.